Test to see if your site is banned from Google. Google banned checker will examine your domain with Google search to detect if the site is banned by Google. 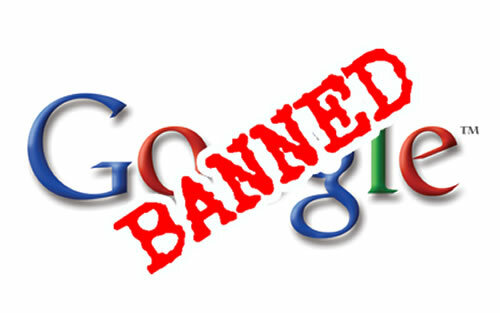 It is very atypical for any site to be banned from Google. If a site has been banned by Google then it is better to copy your site and select another domain name. Otherwise you might email Google with request for the ban to be removed from your site. For a moment Google provides over 85% of all Internet search traffic. No one business website owner would want to be banned from Google. Though the most important rule would be to build website which service for your audience and provides good content, you must constantly optimize your website. 1) Never spam. Websites which do this merit to be banned by any search engine. 2) Do not link to links farms (FFA). 3) Do not place many outgoing links on a single webpage. If you want to link to more than 100 sites, place links on different pages. 4) Do not make search engine manipulation by cloaking. Most likely you will be banned by Google after this. 5) Do not sell links just for increasing Google Pagerank. 6) If you use a lot of doorway pages, you will be probably banned from Google. 7) Not recommended to heavily cross-link your sites. You can get ban from Google. 8) Do not submit plural url's from the same website. It means, do not try to place to Google index the pages as following: yoursite.com, yoursite.com/index.htm, www.yoursite.com, www.yoursite.com/index.htm. Submit your index webpage one time.